Truly, I let my kids play their video games, more specifically Minecraft on our Nintendo WiiU, every single day. Even on homeschooling days. Especially on homeschooling days. Not only do the kids love it, and it gives them (and me) a break from our other daily activities, but they are learning by playing games. Don’t believe me, or want to believe? Let me convince you why video games deserve a place in your homeschool! Now, before I lose you completely, let me reassure you that I am not making the case that video games should be played in excess or that I believe kids should be able to play them whenever and for however long they want. So, to the point, some experts are finding that there are many positive aspects to letting your child play video games in moderation. The key word is moderation. With that said, let me tell you the positive things that I personally see in my children by letting them play their video games every day. I just love hearing them work together and I’m not forcing them to do it. 2. Creativity: I am convinced that Minecraft has to be the greatest game in stirring creativity in my kids! The “world” is massive in size. They can dig endlessly into the ground. They can build into the sky. They also can build anything their minds come up with. They’ve made massive skyscrapers, houses with rainbow carpet, pens and fences for all of their animals, a roller coaster from the sky, just to name a few. Not only are they creative in building, but they are creative in play. They tame wild animals and make them their pets and play as if they are buying and selling to each other. They go on adventures together in their world. A few of the kids’ pet dogs. 3. Reading: The reading in video games is definitely not like sitting down and reading a book, but it is definitely there. And they are definitely learning. 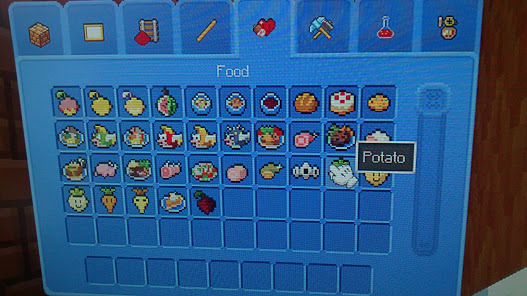 Especially in Minecraft, there are hundreds of items at a players fingertips that can be used differently in the game, and each item will display in a word what it is; egg, wool, carrot, potato, steak, string, feather,flint, leather, rail, boat, saddle. My kids are seeing a lot of new words on a regular basis and learning what they are, just by playing. Learning to read their items. 4. Memory: There is no doubt that these games are making their brains work! 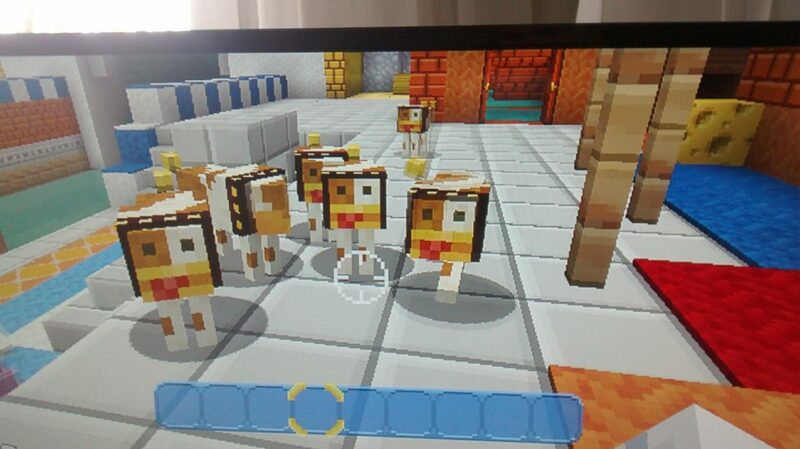 The world in Minecraft is huge, yet they remember where they built certain houses, if there is an animal missing, what doorways or stairs to take. It’s amazing to watch. Sure they might not be memorizing something important, but their brains are working to remember how to find their way around. They are gaining “spatial smarts”, if you will. 5. Patience and perseverance: E, at seven years old, just beat the entire Super Mario 3D World game yesterday, with A’s “help” here and there. It took a lot of failing and trying again to beat it. It took a lot of sharpening skills and getting better. But he did it! And he was so excited when he beat Bowser for the final time at the end! Yes, it’s a pretend game, but it did take patience and perseverance to the end! Not the mention the confidence he gained by completing it! Sure, there are definitely other ways to learn teamwork, to be creative, to exercise reading and memory, and to learn to try again. These things could also be accomplished in playing sports, painting, or reading a book. I’m not trying to sell you on the idea that video games are the best way to learn these things. I am just making the point that it is okay to give your kids some down time letting them do something they love, especially when they can learn something through playing. Many video games, like Minecraft, aren’t mindless entertainment. Entertaining? Yes! Mindless, no! Video games at our house are a reward. A privilege. We learn about real-world things before the kids can lose themselves in their games for an hour or two. But if they’ve earned their game time, I am more than happy to let them play, guilt-free! Ok, talk to me! 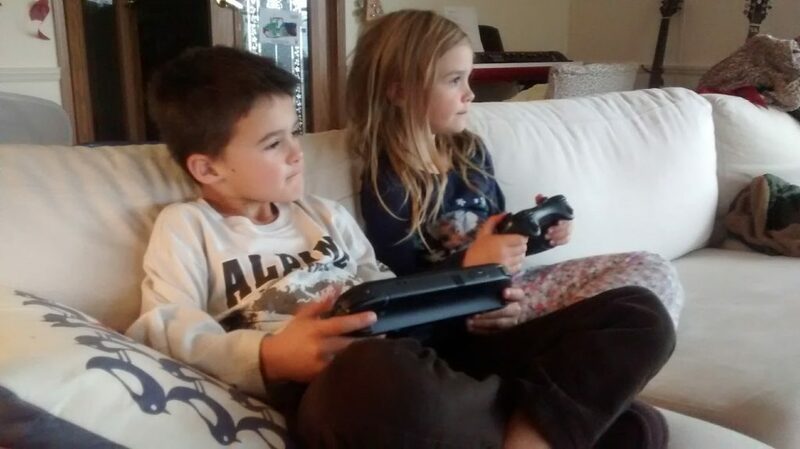 What do you think about letting your kids play video games in moderation? Do you think they are learning good things or just bad habits? I’ve told you what I think, now you tell me! I want to know! I think it’s a great idea. The idea that video games are bad because they come out of a screen is outdated and ludicrous. Should a kid spend 10 hours a day on Mario Kart? Probably not. But kids who are never allowed to play any video games are going to be at a huge disadvantage to those who are. Kids can learn everything from STEM skills like programming and circuitry, to liberal arts skills like music theory and reading comprehension, to basic social skills like winning/losing properly, cooperation, and controlling your emotions through video games in a way they just can’t in real life games. The idea that somehow digging a hole in the backyard is more pure than video games is just ridiculous. Kids need both worlds, and it’s excellent for their brains to allow access to various types of learning, not just the ones that feel nostalgic and innocent to the older generation.